A lot of people compared Reakktor Media's space combat, MMO sim, Black Prophecy to EVE Online, however the biggest difference between the two is that EVE is more strategy and economy oriented where-as Black Prophecy is more combat oriented. 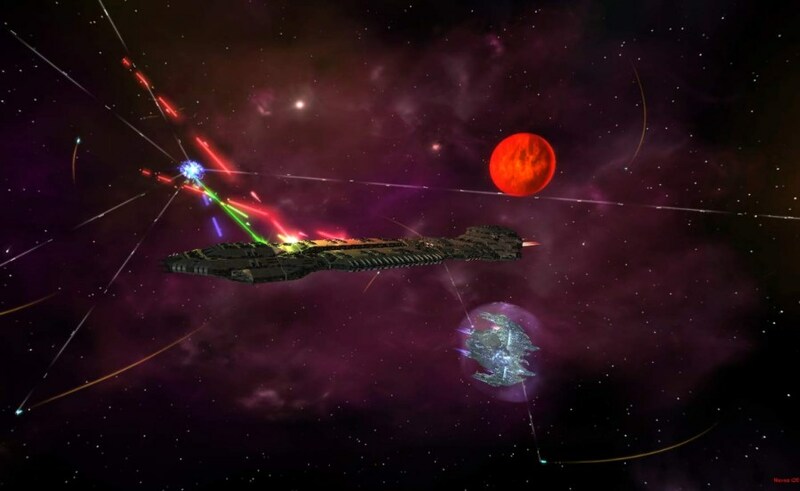 Well, Gamigo has decided to take the next step in directly challenging the throne for space combat king and they announced Nexus Conflict, the prequel to Black Prophecy, which puts players directly in command of the massive frigates and star destroyers that shape the game's atmosphere, for some real-time space strategy gameplay. The battles for control of strategic regions are waged in the Nexus - a place where universes are colliding - and fought between the cybernetically optimized Tyi and the genetically perfected Genides. By completing PvP and PvE missions, players can earn improved weapons, stronger shields and other enhancements. 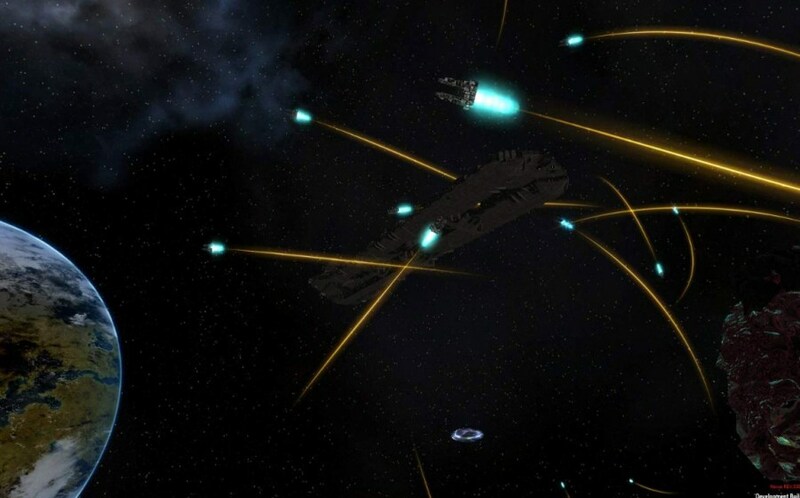 Over the course of the game, captains will have access to ships ranging in size from an 80-meter cruiser to a massive battle titan measuring in at 1.5 kilometers in length. It's hard for me to imagine a titan measuring 1.5 kilometers trying to make tactical maneuvers to avoid being blasted by some other massive titan...I mean, that's insane, right? Anyways, new footage was released for the game and it's as gorgeous as Black Prophecy, the only difference is that the combat play-style is now reminiscent to EVE as opposed to the typical white-knuckle, edge-of-your-seat thrillride experience from Black Prophecy. Check it out. 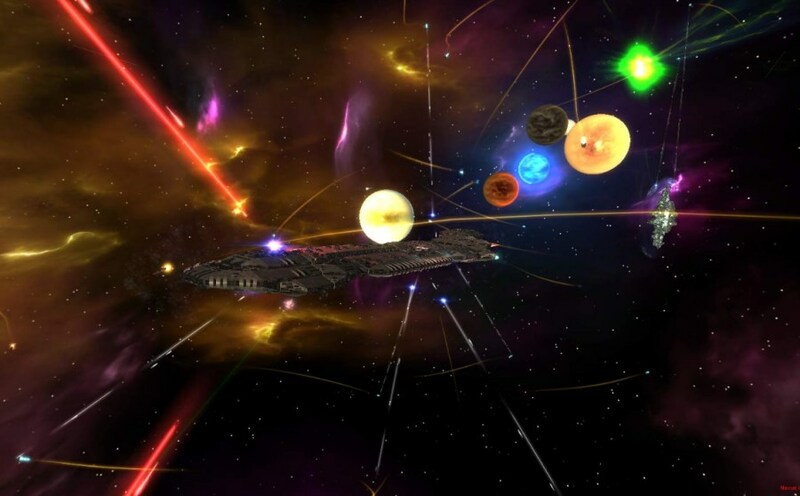 The game will be heading into beta testing soon and Gamigo is looking for a few good captains to take control of those massive battleships in order to reshape a new kind of universe. You can learn more or sign-up by paying a visit to the Official Nexus Conflict Website. •	Stunning graphics both as a client game and in the browser thanks to state-of-the-art Unity 3D technology!